Jennifer at the Cat Clinic made my day! 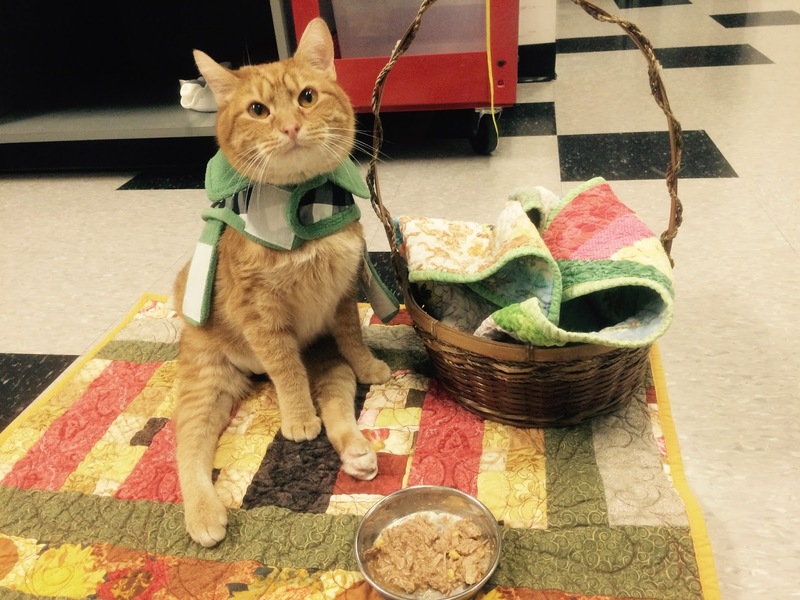 She emailed me this picture of Jesse the Wonder Cat who is having a picnic on a kitty cuddle quilt I made. Jesse on his picnic quilt at the Cat Clinic. Visit Jesse the Wonder Cat on Facebook. 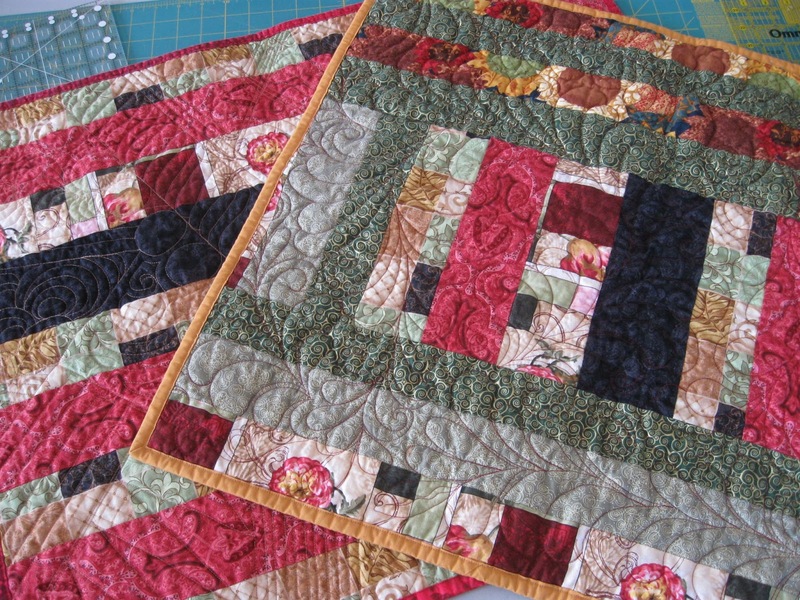 Kitty quilts, 25" x 27". Flannel goes on the back so the quilt is soft and warm. The kitties can sit or lay on either side. 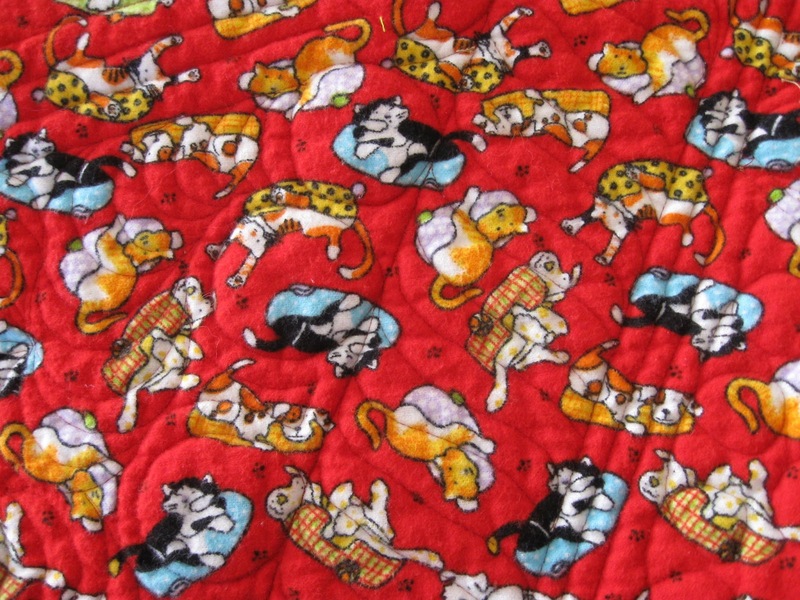 I found this cat and dog flannel print and purchased it specifically for the kitty cuddle quilts. Purrrr-fect, don't ya think? Flannel backing for kitty cuddle quilts. But best of all, they provide comfort and warmth for the kitties! So if you need a lift, make some little cuddle quilts for the furry ones. Or if you can, go a step further and give a kitty (or doggy) a forever home. Well Veronica, I just spent an hour over on Facebook looking at Jesse The Wonder Cat. What an amazing cat. I'll have to see if any of the cat clinics in my area need cat cuddle quilts. He is a special boy and everyone at the Cat Clinic loves this kitty. You might not be able to tell from the photo, but Jesse is partially paralyzed. What a cool cat he is! I hope you find some time to make and donate kitty cuddle quilts for some sweet kitties in your area.